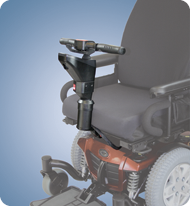 The combination of power wheelchair maneuverability and scooter style controls creates a more natural riding experience. 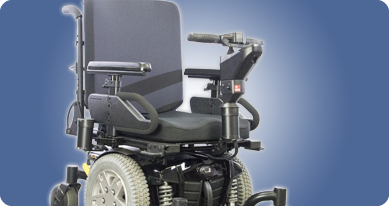 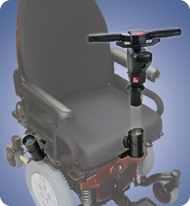 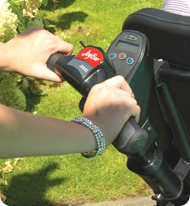 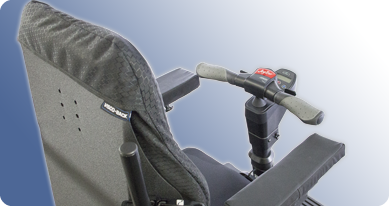 In the attendant position, the patent pending JoyBar provides more stability and greater control for the attendant, all without the need of upgraded electronics. 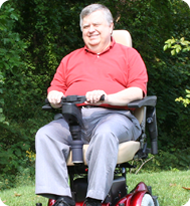 By using your arms to steer the Power Wheelchair, driving becomes more intuitive – like operating a car or riding a bicycle.